Apple to Begin Ramping Up Production of 25-33% Lighter iPad in July? - iPhone.MY - Daily News On Mac, iPhone, iPads, iPods and more! 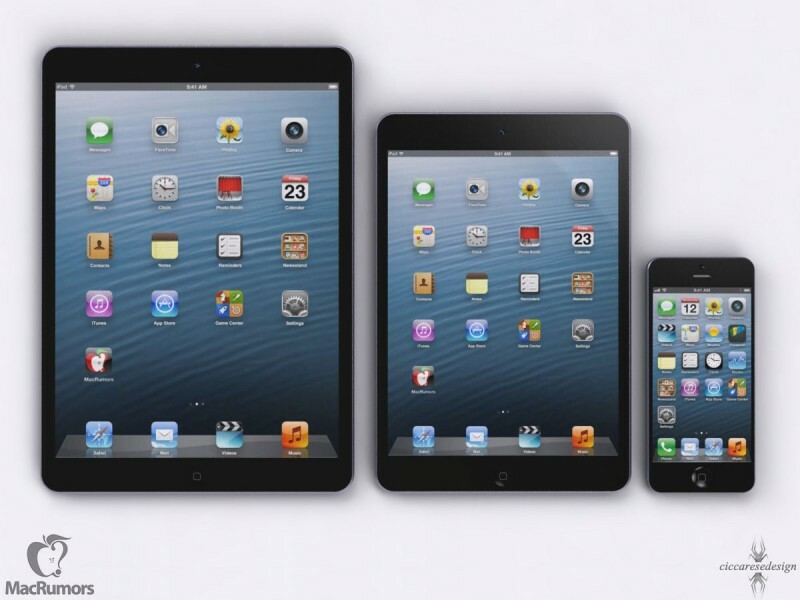 Apple to Begin Ramping Up Production of 25-33% Lighter iPad in July? Digitimes reports that Apple will soon begin trial production on its fifth-generation iPad, with full production said to be planned to begin in July. Based on that schedule, Apple could hit monthly production of 2-3 million units by September as it prepares to launch the updated version of its full-size tablet. As with a number of previous rumors, the report claims that the new iPad will be narrower, thinner, and lighter than the current design, taking a number of design cues from the iPad mini. As a result, Digitimes says that the new iPad will be 25-33% lighter than the current models, in line with previous claims from KGI Securities analyst Ming-Chi Kuo. The display of the new iPad, which will hit market shelves as early as September, will still be a 2,048 x 1,536 Retina display, the same as the one used in the 4th-generation model, except that the new display is built on a glass substrate of 0.2mm, thinner than the 0.25mm one for the 4th-generation device, the sources said, adding the new table will has a narrow bezel. The touch panel solution for 5th-generation iPad is GF2 (1 layer of glass and two layers of ITO film) instead of G/G bonding used in 4th-generation iPad, the sources added. The new iPad will use one LED light bar for backlighting, compared to two LED light bars used in 4th-generation iPad, the sources noted. Kuo had previously predicted that production on the new iPad would ramp up in August or September, with shipments following soon thereafter. Rumors of an iPad mini-like design for the next-generation iPad have been supported byleaked photos showing what was claimed to be the front bezel and cover glass for the device, as well as photos of the device’s rear shell and cases said to be based on the product’s design. Previous rumors have also suggested that Apple would be able to use more efficient backlighting in the fifth-generation iPad, reducing the device’s size both directly through eliminating one of the two backlight units and indirectly through allowing for a smaller battery.